Hide something in the box then get players to try and guess what it is. The box keeper hunts around the house for an item and hides it in the box. 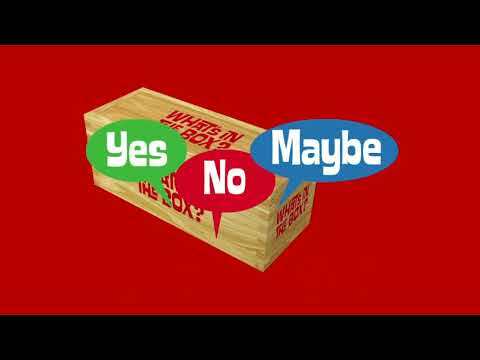 Players then ask questions and can shake and listen to the box, but have only 21 chances to ask Yes or No questions to work it out. To make it harder, use the picture cards provided for an abstract object not in the house, like a whale! Comes with picture cards and a scoreboard track for the questions. Baffling fun!